We sell Truvia products like Truvía ® Spoonable (Powder) Sweetener - 270g online in the UK and directly from our award-winning store in Scotland. 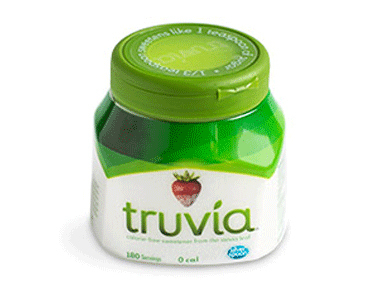 Truvia ® Calorie-Free Sweetener Spoonable is designed for easy use and storage at home. Spoon and sprinkle Truvia ® Calorie-Free Sweetener for sweetness and crunch as a great alternative to sugar. From coffee to tea, cereal to yoghurt, this little jar helps make everything sweeter. We sell real Truvia and other Sugar & Sweeteners directly from our shop in Scotland and online throughout the UK. View more products from Truvia. Where can you buy real Truvia Sweetener safely online? If you are wondering where you can buy Truvía ® Spoonable (Powder) Sweetener - 270g safely online in the UK, then shop with us. Truvia Sweetener - Truvía ® Spoonable (Powder) Sweetener - 270g in Sugar & Sweeteners and Foods.